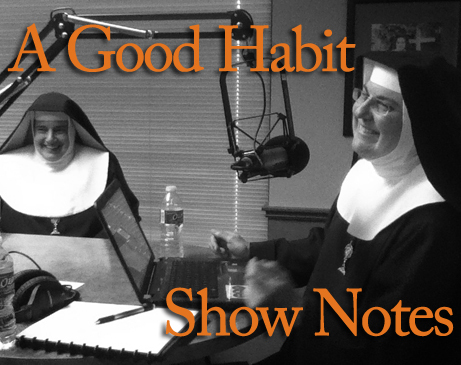 Our Lady and St. Michael were just two of the topics we talked about on Wednesday’s show. As we closed out the show we promised to give you more information on a day of adoration and prayer for the persecuted Christians in Iraq and Syria. The plight of Christians in those countries is grave, and deserves its own post. We have a lot of info for you, so we are posting that separately here. The book we recommended to one of our listeners about Our Lady is by Scott Hahn, and it’s called Hail, Holy Queen. We also found on YouTube a talk by Dr. Hahn about Our Lady’s prefigurement in the Old Testament, which you can find here. The other book we mentioned is Under the Mantle by Fr. Donald Calloway, MIC. Fr. Calloway had an extraordinary conversion through the intervention of Our Lady, and his love for her runs very deep. Here he discusses the book on EWTN’s Bookmark. If you’re looking for online resources on Our Lady, whether it’s a doctrinal question or a devotional one, EWTN has a great resource library. You can find writings from the popes, the saints, theologians and more. Their Teachings section is a great place to start, the whole range of topics concerning Our Lady is right at your fingertips, just click here. One caller asked us about which archangels we are most devoted to and we got to talking about St. Michael the Archangel. After all, our monastery is under his patronage. Recently we came across the incredible story of a Marine who died and went to hell, but was saved snatched from the jaws of hell by St. Michael himself. You can read about it here, and if you scroll to the bottom of that page you’ll see the video of the Marine, Shawn Weed, telling the story. There are lots of amazing stories about St. Michael on the internet which you may have read, and this one is definitely worth hearing. This entry was posted in A Good Habit and tagged EWTN, Fr. Donald Calloway, Hell, Our Lady, Scott Hahn, Shawn Weed, St. Michael by texasnuns. Bookmark the permalink.